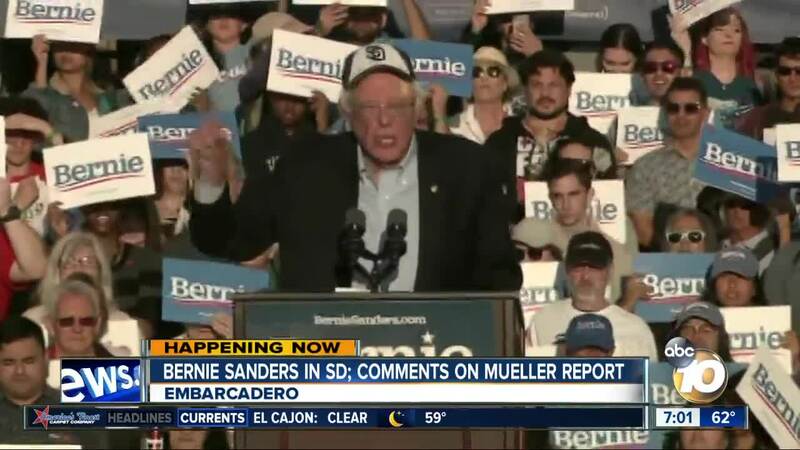 SAN DIEGO (CNS) - Sen. Bernie Sanders, I-Vermont, a candidate for the Democratic presidential nomination, held a rally in San Diego Friday for the first time since launching his 2020 campaign. "I also know that it is imperative that the Trump administration make that full report public as soon as possible," Sanders said, starting off his campaign reacting to the news from Washington D.C. "Nobody, including the president of the United States, is above the law. The people have a right to know what's in that report." 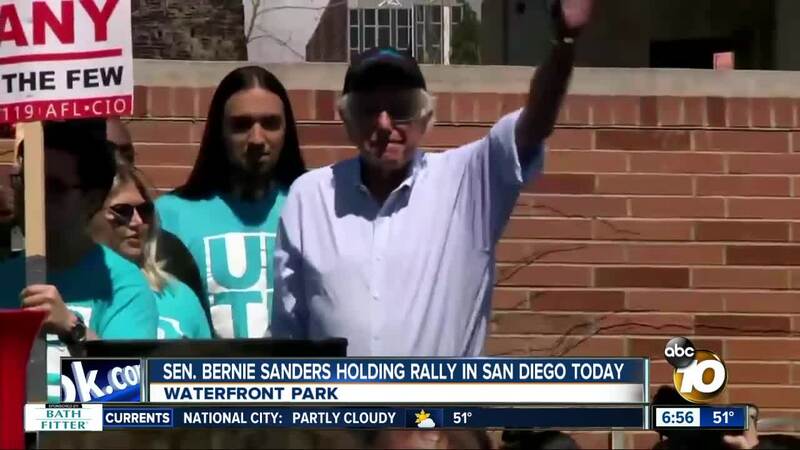 Sanders also addressed the immigraiton, an issue that impacts San Diego as a border city. "We say to the American people that instead of demonizing the undocumented immigrants in this country, we're going to pass comprehensive immigration reform and provide a path toward citizenship," Sander said. "We're going to provide legal status to the 1.8 million young people eligible for the DACA program, and develop a humane border policy for those who seek asylum." 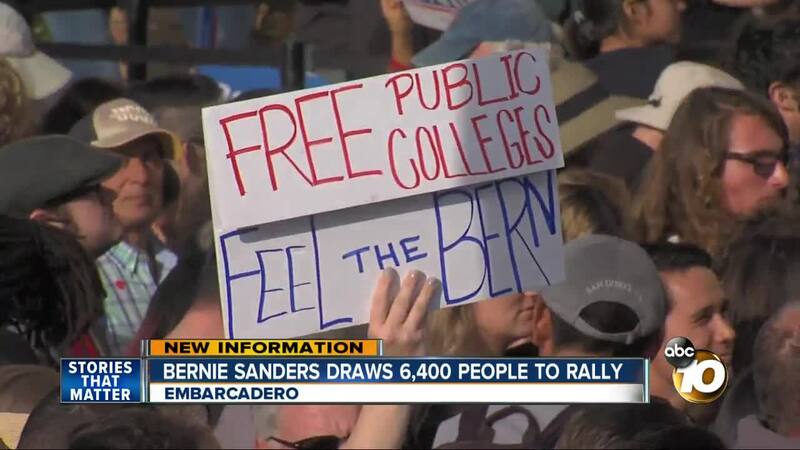 Sanders joined striking workers outside Ronald Reagan UCLA Medical Center in Los Angeles Wednesday, when thousands of University of California research and technical workers picketed at facilities across the state in a one-day strike called amid contentious contract negotiations.